Two Lodges—Same Great Owners. Both Lodges are located in the “ATV Friendly Town” of Man, WV. You can legally “Park and Ride” your ATV on the Town streets to Rockhouse Trailhead. 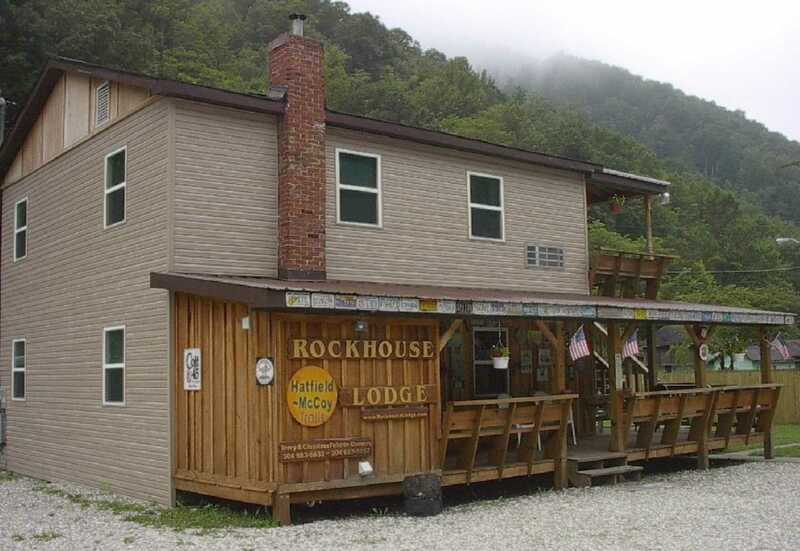 ROCKHOUSE LODGE offers the rustic ambience of 4 air-conditioned units, each sleeping 4-6 guests comfortably. Units are adjoining on each level to accommodate larger groups. THE DEPOT LODGE once was an old Railroad Station overlooking the river and is now fully renovated, offering 7 units of varying sizes from a 2 bed cabin, all the way up to 4 super size units with 6 individual beds. The Depot is especially suited for LARGER GROUPS with a total of 30 individual beds in the entire building. Enjoy a late night campfire at this locationoverlooking the river. The Units in Both Lodges have Kitchens with refrigerator, microwave, coffee maker and Cable TV. A washer & dryer is available at each building, as well as picnic tables, barbeque grills and a pressure washer at The Depot. Both buildings are within walking distance of restaurants/convenience stores. Visit our Facebook Page by click the link below!